We are so happy to be sharing this special time with our family and friends, and want to make it as easy as possible for those who will be able to join us! We have partnered with Wendy Izydorek of PLAY YOUR WAY TRAVEL. She is a destination wedding specialist and will be working to coordinate all of your travel needs and accommodations. Stay for the weekend, the week or anything in between. Wendy will be standing by to help with arrangements. Hope to see you on at the Royalton Riviera Cancun for our big day! Thank you for your interest in attending Karin and Peter's Destination Wedding at the luxury, all-inclusive ﻿Royalton Riviera Cancun﻿! It is extremely important that you book your travel package through Play Your Way Travel, in order for Karin and Peter to receive amenities to enhance the experience of their guests and wedding, as well as to receive the group discount offered as part of the Wissmann-Faehnrich Wedding. Karin and Peter will﻿ arrive at Royalton Riviera Cancun, staying in the Hideaway at the Royalton Riviera Cancun adults-only section on Wednesday, July 26. You may request a quote for the Royalton and/or Hideaway for as many days as you wish, choosing to arrive and depart on whichever days you prefer. I strongly encourage you to make a deposit on your package as soon as possible. Pricing will be the lowest, the earlier you book. 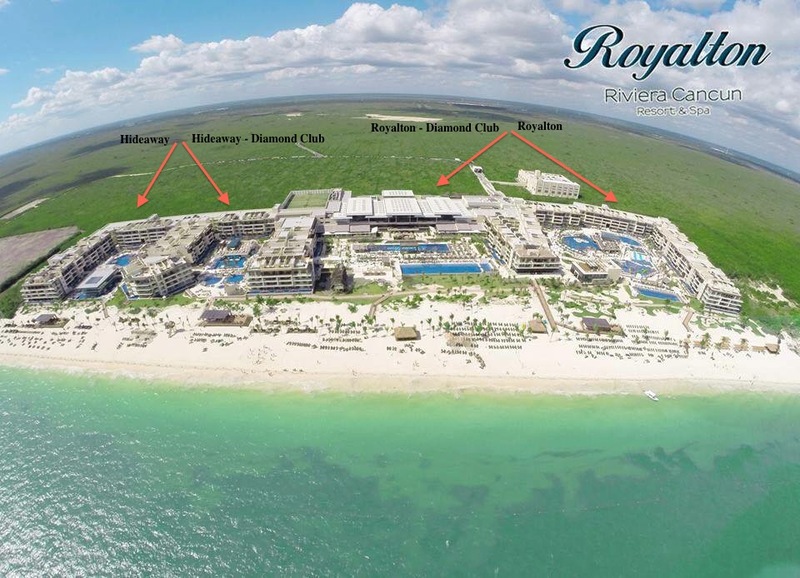 In addition, availability at the Royalton Riviera Cancun cannot be guaranteed until your deposit is made. Luxury accommodations include 24 hour concierge service, USB recharge and Bluetooth audio stations, complimentary W-Fi service, in-room safe, rain showers, satellite television, stocked mini-bar, 24 hour room service, and a balcony or terrace. Diamond Club guests receive additional amenities and services including dedicated room locations, butler service, exclusive beach area with dedicated bar and waiter service, private Diamond Club Lounge access, upgraded room service menu, pillow menu, robes and slippers in room. Luxury accommodations include 24 hour concierge service, USB recharge and Bluetooth audio stations, complimentary W-Fi service, in-room safe, rain showers, satellite television, stocked mini-bar, 24 hour room service, and a balcony or terrace, and more. Diamond Club guests receive additional amenities and services including dedicated room locations, butler service, exclusive beach area with dedicated bar and waiter service, private Diamond Club Lounge access, upgraded room service menu, pillow menu, robes and slippers in room, and more.